You are here: Home / Blog / Education / What is the Keto Diet? Over the past two months I have had two friends lose over 20lbs on this keto diet eating buffalo wings and steak! How is this possible?? I wanted to learn about how in the world these two could eat high fat foods and just shed the pounds, so I dove into the research. 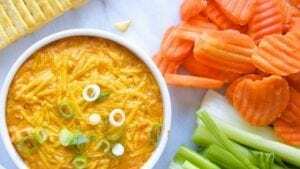 Over the next few paragraphs, I will summarize what the keto diet is and how it works, along with an awesome buffalo chicken dip recipe that is totally healthy for you!! Carbohydrates broken down form glucose, which your body uses as its primary energy source. If you have enough glucose in your system, your body will store this excess sugar as fats in your body for use later. 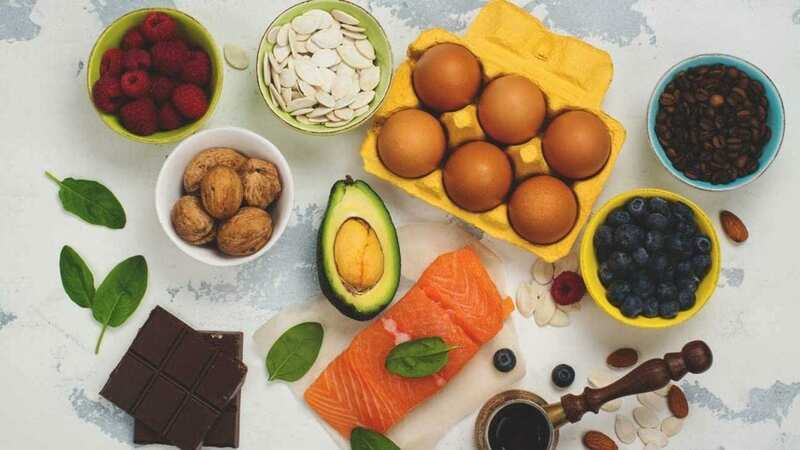 In events of a lack of carbohydrates introduced into your system, your body has a remarkable way of switching from using glucose to using fats for its energy production. This process is called ketosis. Ketosis is a normal metabolic process, something your body does to keep working. When it doesn’t have enough carbohydrates from food for your cells to burn for energy, it burns fat instead. As part of this process, it makes ketones. Ketones are produced by the liver when you don’t have enough glucose to break down for energy. Your liver turns this fat into ketones, a type of acid, and sends them into your bloodstream. Your muscles and other tissues can then use them for fuel. That process is the basis for the ketogenic, or keto, diet. You deprive your body of a significant amount of carbohydrates, which your body breaks down into glucose, and sugar. In so doing, your body will go into ketosis and begin to use up for fat stores for energy, thus helping you lose body fat! Well that seems cool right?!?! So what can I eat? If this diet seems vaguely familiar, its because it is. It is the basis for other popular diets like the South Beach diet and the Atkins diet. These all embrace the idea of low carb, high protein/fat with the idea of using up your body’s stored fat for energy. The process is simple. You want to keep your carbohydrates limited, coming mostly from vegetables, nuts, and dairy. Don’t eat any refined carbohydrates such as wheat (bread, pasta, cereals), starch (potatoes, beans, legumes) or fruit. The small exceptions to this are avocado, star fruit, and berries which can be consumed in moderation. You don’t want to consume more than 15g of sugars per day. The better you are at limiting carbohydrates, the faster you will enter ketosis. Sugar: table sugar, honey, agave, maple syrup, CANDY!! Fats & Oils: Try to get your fat from natural sources like meat and nuts. Supplement with saturated and monounsaturated fats like coconut oil, butter, and olive oil. Protein: Try to stick with organic, pasture-raised and grass-fed meat where possible. Most meats don’t have added sugar in them, so they can be consumed in moderate quantity. Remember that too much protein on a ketogenic diet is not a good thing. Vegetables: Fresh or frozen doesn’t matter. Stick with above ground vegetables, leaning toward leafy/green items. Dairy: Most dairy is fine, but make sure to buy full-fat dairy items. Harder cheeses typically have fewer carbs. Nuts and Seeds: In moderation, nuts and seeds can be used to create some fantastic textures. Try to use fattier nuts like macadamias and almonds. Beverages: Stay simple and stick to mostly water. You can flavor it if needed with stevia-based flavorings or lemon/lime juice. That seems simple enough…but how much do I eat? Remember that protein is always to be consumed in moderation. I wanted to give you some measurements and calories for generally accepted portions of food, but to make it easier, one protein portion is about the size of a deck of cards. Vegetables is about one hand full. That is a good portion that will leave you satisfied, not stuffed. Dieting should not be complicated. The point of this diet is to change the way your body breaks down fat instead of sugar for energy, that is all. Limit your intake of sugars by a lot, watch your portion control, and the weight will drop. The great thing about keto is that your stomach relays the “full” feeling to your brain based off of fat consumed, so you get that satisfied feeling much sooner than when primarily consuming carbohydrates. Remember, you didn’t get overweight overnight, you aren’t going to lose it overnight either. This diet is a lifestyle. It will change the way you eat, but it is an uphill battle to change your habits. If you stick to this, you will feel better and healthier and the belly fat will drop right off! In a medium sauce pan combine the ranch dressing and cream cheese until the cheese is completely melted and smooth. Pour the mixture over the chicken. Sprinkle the shredded cheese over the ranch, cream cheese mixture. Bake uncovered for 30-40 minutes, or until the cheese on top is bubbling and browned. Let stand for 10 minutes before serving with carrots and celery.